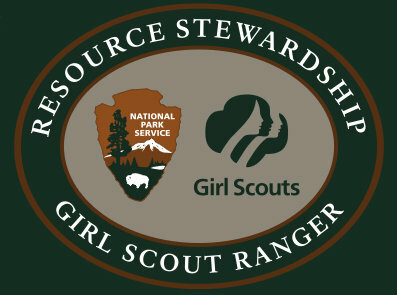 The Resource Stewardship Girl Scout Ranger program invites Girl Scouts to participate in projects at national park sites to spark their awareness of the national parks and Girl Scouting. Girl Scouts have the opportunity to learn more about protecting our natural and cultural resources and the chance to explore these resources, environmental science, and conservation careers. Girl Scouts can earn certificates and/or patches for participating in the program.